"Research-based solutions for a lifetime of benefits"
Our Encore team is ready to assist you in reaching your health and fitness goals. Utilizing the latest in therapy and wellness technology, movement research, and a comprehensive care approach, our expert team of licensed professionals will design and implement a customized program to meet your therapy or wellness needs. 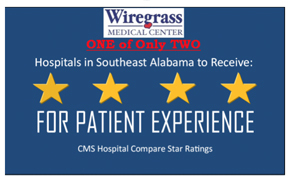 For more information, contact Wiregrass Medical Center at (334)684-3655.